God hates sin. Don't you? I know I do. But isn't it amazing how we'll fall back into the same old traps again and again. This is where John, the tender Shepherd that he was, hits the nail on the head. The goal is to not sin even one sin. But, knowing our struggle against the flesh, John also gives assurance to those of us trying to live faithful and pure lives. 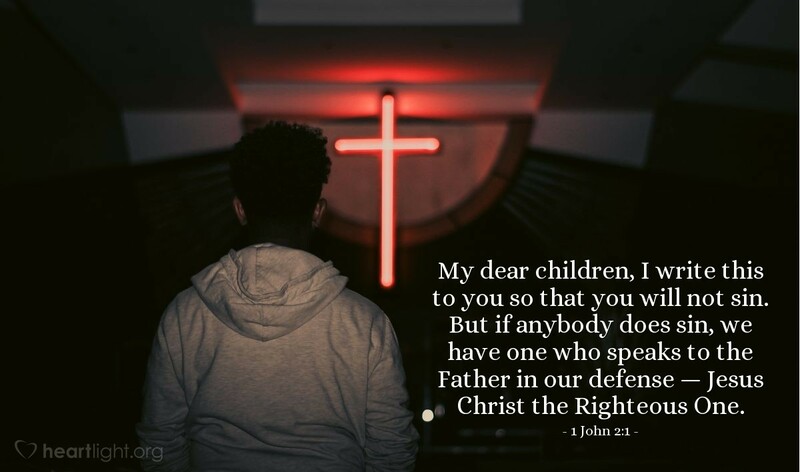 He wants us to know that when we do sin, the Sacrifice for our sins, God's Son, is also our defense attorney who proclaims us sinless by his blood! So let's draw close to Christ. Let's invite him into our heart each morning as we begin the day. Let's trust in his power and grace to sustain us and carry us through. When we do, he will!